By Nicholas Ortega, P&E Account Mgmt Lead and Martina Ekman, Sr Product Mgr, Verizon Media. OTT presents a massive opportunity for publishers to not only diversify revenue streams and capitalize on an influx of high CPM ad budgets, but also to increase distribution by getting in front of a growing, engaged audience on a multitude of platforms. Let's start with the basics. Simply put, OTT is any long form video content being streamed through an internet connection only. For example, the streaming of a World Cup match on your desktop computer would be considered OTT. CTV is a little different in that the stream is presented on a television via an internet-enabled 'Smart TV' or various streaming devices (i.e. Roku, Apple TV, Chromecast, Amazon Fire Stick, etc.). So, if the streaming of that same World Cup match is done on a television via a Roku device, that's CTV. OTT has expanded well beyond video on demand (VOD) and into live streaming content. Broadcasters and publishers, with the help of technology providers, have enabled a TV-like viewing experience without the need for cable, driving the cord cutter movement. Streaming, encoding, and monetizing live streams involves multiple technologies, and is a bit more technically complex. Our friends over at Verizon Digital Media Services can help our publishers in the technical execution of dynamic ad insertion into ad pods, server side ad stitching, managing concurrent users, CRM systems, paywalls and more, while Verizon Media can help with monetization, and OTT app set-up and distribution. 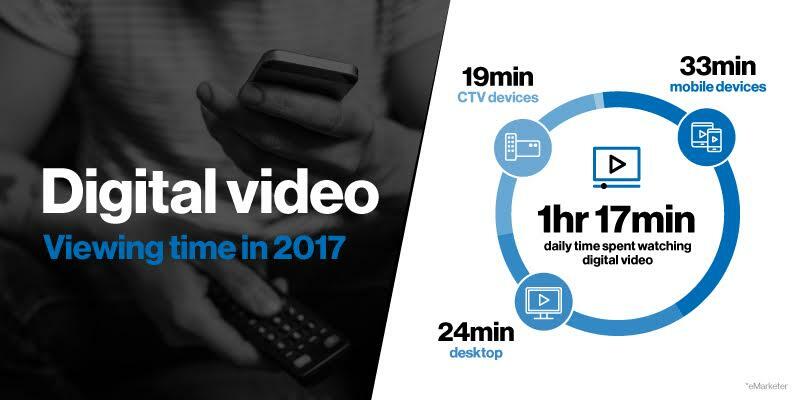 We are a one-stop shop in delivering a superb OTT experience to your end users, while effectively monetizing each video view. VOD for OTT is a relatively easy set-up, similar to how publishers currently monetize long-form content via ad pods. To get started quickly, we recommend starting with VOD content. Use that library of video content, make it available to your users and put a monetization strategy behind it. Unsure how to get your content library into an app that fits within the framework of major OTT app stores like Apple, Roku, Amazon, and Android? Verizon Media can help you quickly upload your video content, for free, within an OTT compliant app that you can submit to all the major OTT app stores for instant distribution. Subscription or ad supported: that is the question. While one could make a business case for either option, we believe ad-supported is the future. As users are inundated with more and more subscription options, ad-supported models encourage quicker adoption. Subscription models have only proven to work for OTT providers such as large broadcasters and original content hubs who have amassed an extensive library of VOD content (think CBS & Netflix with its original programming), or niche publishers with a loyal fanbase (WWE, Anime, etc.). If you're a publisher that falls somewhere in between, you can do one of two things. Either develop an ad-supported OTT business model, where you can monetize the content via direct and programmatic channels, or license your own/original content to one of the popular content aggregators (ie Pluto, Crackle, Sling etc.). Which leads us perfectly into the next section, distribution strategy. So, you've decided the ad-supported format is the way to get your content viewed and monetized for OTT. Now what? Do you go direct to consumer, and launch your app in the Apple, Android, Roku, and other app stores? Do you license your content via another OTT app, or work with the popular aggregators and get instant distribution to their millions of users? Why not a mix of all of them? These are the questions we hope you are asking yourselves prior to lining up dev resources and jumping head first into this lucrative space. If you are considering getting into the OTT/CTV space and want more information, or a free consultation from one of our OTT/CTV specialists, please reach out to your Verizon Media representative or videopublishersales@oath.com. We have a range of products from a free OTT App Builder, to a full end to end solution which includes live streaming solutions, monetization solutions, and subscription pay gate solutions.